The news in the last day or so has ben full of the announcement of the Spaceport is going to be build in Sutherland. So I thought I’d provide a little background and context for anyone who might not be so sure of where Sutherland is. You see, despite it’s name, its actually the very top part of the United Kingdom’s land mass. John O’Groats is in Sutherland. 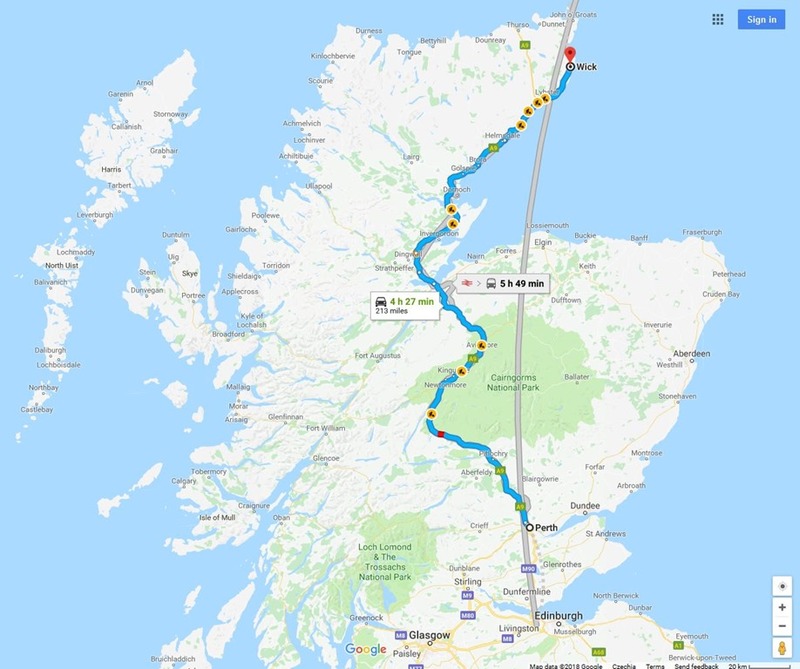 I’m typing this just outside Perth and I thought I’d see how long Google Maps reckons it would take me to get to Wick – which isn’t at the top of Sutherland. So the first thing the Spaceport in Sutherland’s going to need is a spaceport to get you there! Pardon me for thinking this is not really likely to happen…. Take Me To Your Leader…..